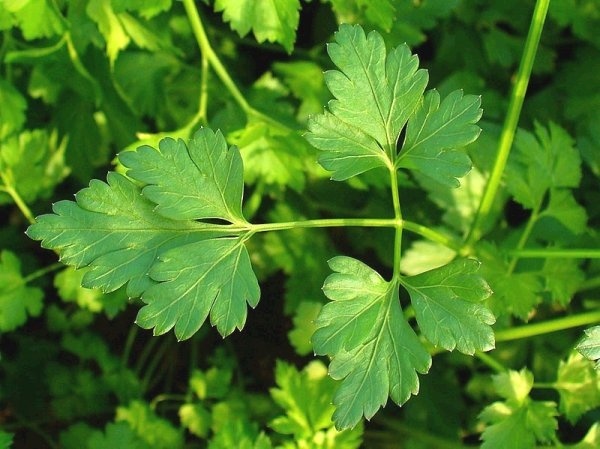 Today, I'd like to talk about an herb that every Haitian is intimately familiar with; parsley, known as Pèsi in Haitian kreyol or Persil in French. This beloved herb is a key ingredient in the versatile and delicious Haitian spice marinade, knows as epis. In this way, Haitians essentially consume parsley literally every day. But did you know that parsley is not only an important culinary herb, but an incredibly detoxifying and healing herb as well? Did you also know that this herb is steeped in a deeply wounding and tragic history for the Haitian people? Let's dive in and talk more about Pèsi! Parsley, Petroselinum crispum, is an herb native to the Mediterranean, and is now grown all over the world. This herb grows very well in a variety of climates and can be found at pretty much any grocery store too. Pèsi is a very pretty green plant with almost decorative flowery leaves. It has a lovely subtle aromatic and slightly sweet taste to it. I learned in Naturopathic medical school that parsley leaves are mildly diuretic, which means parsley supports the body's process of eliminating fluid. You can see how this can be helpful in conditions such as BPH (benign prostatic hyperplasia), congestive heart failure, or mild edema. Parsley root, on the other hand, is really helpful for treating kidney stones. This herb has an affinity for the urinary tract, making it handy for treating *mild* kidney pathologies (in addition of course to necessary medicine and monitoring). Parsley is incredibly rich with vitamins and nutrients, and has a great ability to cleanse the body, making it an awesome addition to detoxification protocols-which I can walk you through. 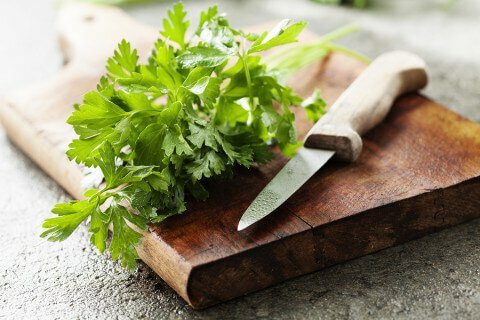 There's a ton of research on parsley's very wide range of medicinal properties. Studies show that Pèsi has anti-oxidant, hypotensive, liver-protective, and anti-diabetic properties, just to name a few. many minerals including iron, potassium, iodine, sulphur, etc. I cannot talk about Parsley, in the context of being a Haitian treasure, without highlighting it's important role within Haitian and Dominican history. You may or may not have heard of something called "The Parsley Massacre"; a 6 day "ethnic cleansing" of Haitians and Haitian-Dominicans in the Dominican Republic, ordered by then dictator Rafael Trujillo in October 1937, to "solve an economic crisis". This slaughtering of an estimated 10,000-20,000 people centered around a presumed Haitian's ability to pronounce the word "perejil"; the Spanish word for parsley. Haitians and those of Haitian descent living in the Dominican Republic were ordered to pronounce the word, and if they were unable to pronounce the "r" with the rolling sound characteristic of the Spanish language, they were executed. There is so much more to say about this but if you would like to learn more, there are plenty of resources available to you. For one, you can ask a parent or grandparent about this. I have had heart-breaking conversations about this event with my grandmother, who was a pre-teen, when it occurred One of the most powerful resources I came across which centers around this event is Edwidge Danticat's fictional novel, "The Farming of Bones". Interesting and disturbing fact that I recently discovered through conversation, then later through research, is that Trujillo's grandmother was actually of Haitian descent (BOTH of her parents were Haitian). Every time I think of this, chills run down my spine, not only because this means his Anti-Haitianism is literally related to "anti-self", but also because it makes me reflect on generational trauma and internalized racism. It is so important to love yourself- all the parts- and have respect for the lives and identities of all people. Personally, every time I even look at or touch parsley, I take a quick moment to honor my Haitian ancestors. It's tough for me to work with this herb, without recognizing its significance in my people's history, especially since we work so intimately with it. Nevertheless, parsley is an incredible herb really worth highlighting. Take an exhale to process if you need to. Now let's talk about some ways to use this healing herb (besides in yummy Haitian epis) <3. 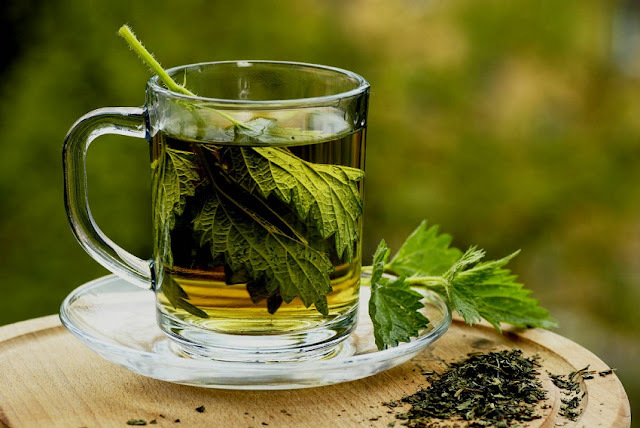 There is no need to sweeten medicinal tea folks! But if you must, try a little bit of honey or some stevia. This is my favorite way to use parsley. I hope you enjoy using Pèsi. Let me know how you plan on consuming it! As usual, if you want to be a patient/client of mine, feel free to contact me. Among many holistic healing modalities, I offer acupuncture, cupping and moxibustion, nutritional and herbal counseling, etc. Thank you for writing your blog especially for including your Haitian heritage in it too.